Two years after her divorce, Nina Fontaine is a full-fledged city girl. She has a tight-knit group of friends, a cozy apartment, a new hobby, and a rapidly expanding career. Life is good. Then Liam McAlister appears at the gallery where Nina works, and all the old feelings come rushing back. 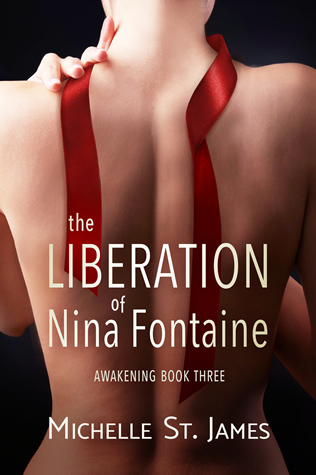 Free of her obsession with Jack Morgan’s ability to set her body on fire, Nina is reluctant to immerse herself in another relationship, even one with a gorgeous younger guy like Liam, but Liam again breaks down her defenses, and for the first time Nina is relieved to experience what feels like a healthy relationship. When an unexpected opportunity arises, Nina must decide if she wants to risk everything for love – or if maybe, just maybe, she can have happily ever after on her own terms.